Sister, eschewing the traditional spade and sweat method, hired a man and a mini-digger to create her vegetable patch. 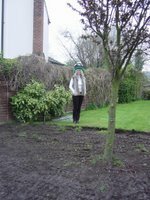 Pictured here proudly modelling her special Diarmuid Gavin gardening hat, Sister reminds me of vegetable definition No. 3 in the Cambridge Online Dictionary. its not really the best place for a veggi patch is it - roots of ornamental cherries are quite superficial. though i've always wanted to have a play with a mini digger! The diddy men (Ken Dodds little friends)used to wear those exact same hats. 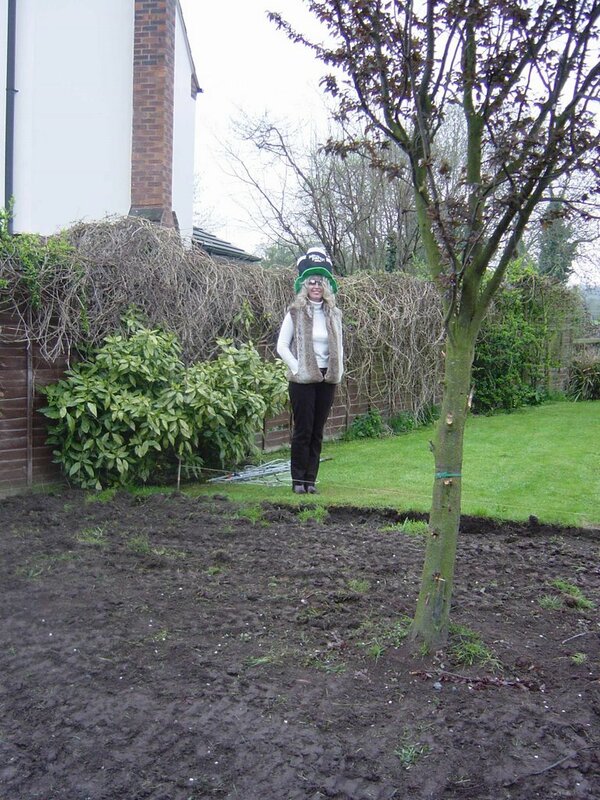 Has she got a little man who will plant all the veg and also do the weeding? Now she's starting to sound like Margot Leadbetter. is the little man a leprachaun?